It combines many still cameras into one single animated camera that shows all those views sequentially, one per frame. Then you just need to render the new camera to a sequence of images. 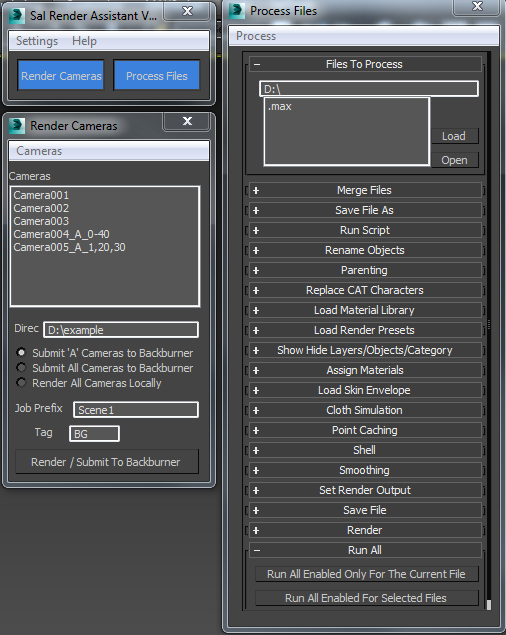 The script lets you first select the still cameras to combine into one.